Posted August 19, 2015 by Freda Casagrande & filed under Our success stories. This story began in November 2008. Suman was living in a remote village, he had no hope of ever receiving an education, trekking to school was just impossible, until one day Freda Casagrande arrived in his village the founder of Hi-cap UK. Sumans feet were twisted and the village begged us to help. We put out a call for help to all our supporters. Suman was taken to Kathmandu Hospital. 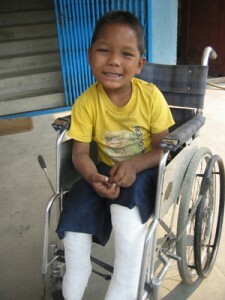 We with his parents permission had his feet operated on to straighten them. 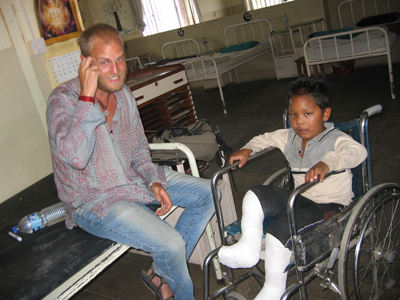 Suman seen here with one of our sponsors who visited him during his time in hospital. 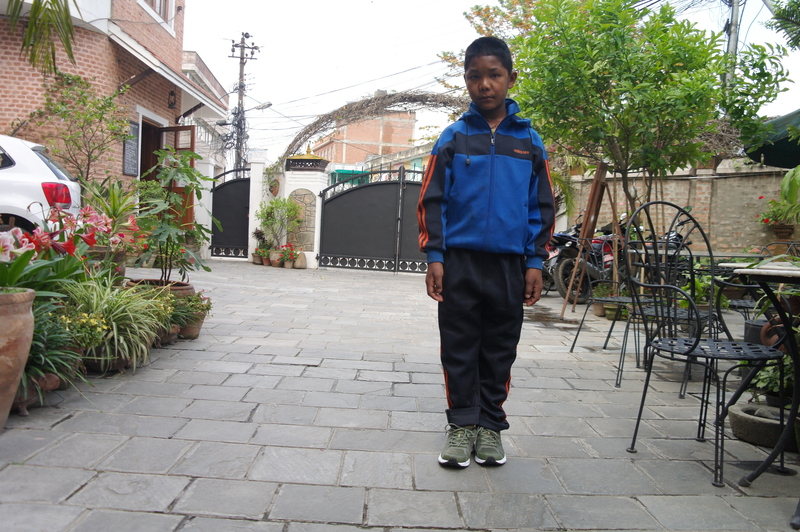 It took 2 years in Kathmandu to get walking properly. It was a struggle and there were many tears. Wonderful stories from Hicap, we have so many more.